Carlton Realty is respected as the top real estate company in Fayetteville, Arkansas and the Northwest Arkansas area for the purchase of historic restorations, renovations, and remodels. We represent a number of builders and renovators who concentrate their expertise on historic restorations and historic renovations in Fayetteville, Arkansas. Historic renovations in Fayetteville, Arkansas are largely concentrated in the Washington-Willow Historic District, in the Wilson Park Historic District and the Downtown Historic District. You will also find restored and remodeled homes in the Mt. Sequoyah area of Fayetteville, Arkansas and other older established neighborhoods in Fayetteville, Arkansas. It is important to understand the difference in renovations, restorations and remodels. You will find that the words are mistakenly used interchangeably by many people, however, there are differences that are highly important when evaluating the value of property. There is some debate concerning the use of the below words, but a general understanding is beneficial. Remodel: Although used broadly for any “fix-up” of a home, a remodel is when you change the character or use of the house or a portion of the house. If you change the den into a theater room you have remodeled the den. Renovation: Although used broadly for any “fix-up” of a home, renovation literally means to make new again. A renovation typically does not change the use of the house or a portion of the house but brings it back to a new condition. If you update the kitchen cabinets, install new counters, replace the appliances, paint and refinish the floors you have renovated the kitchen. Historic Renovation: This one is a bit tricky, as some will say that you cannot do a historic renovation, and in most cases it would probably be more accurate to say a “historic area renovation”. However, the phrase has come to represent historic homes that have been brought to a new condition. It often contains some remodeling of the use of the floor plan or space. A complete historic renovation would often entail taking the house down to the studs and bringing it back with everything new (including electric, plumbing, sheetrock, etc.). Although many things may be new, some renovators will be period sensitive, and the renovation will represent a historic home with modern amenities. Restoration: This is when you are bringing the house back to its original condition. If a garage had previously been converted into a den, and you turned it back into a garage then you restored the garage. Or, if the wood floors have been covered with carpet and you took the carpet off, sanded the floors and had them refinished then you restored the wood floors. Historic Restoration: When an older house is brought back to its original condition, but an attempt is made to preserve those things original to the house by repairing, reworking or refinishing. A historic restoration will often have new items that were not original to the house (such as appliances, HVAC systems and other items that cannot be reasonably maintained), but care is taken to maintain the wood flooring, reworking the cabinets, refinishing the trim, restoring old windows and other reasonable repairs to bring the house close to the original condition. Beyond understanding the differences in renovations, restorations and remodels in Fayetteville, Arkansas it is also important to recognize the quality of the work completed and sensitivity to the period the home was originally constructed. Also, you should pay attention to the surrounding homes and whether the work was completed with respect of the neighborhood in which it is located. A home that does not appear to match the surrounding homes will often reflect the difference in a lower value. General Remodel: When there has been a basic conversion of a space in a house. Does not include updating the remaining part of the house but may include adding some additional square feet to the size. The most common remodels are kitchens and bathrooms. These basic remodels add some value to a house, but normally do not result in a significant increase in the value. Remodels do help houses sell quicker in slower markets. Full Remodel: When a poorly designed or insufficiently designed house undergoes a change of design and layout resulting in a more functional house. As a result of the remodel, many of the house’s facilities get updated resulting in a home that should bring an increase in value. Full remodels typically receive significant increases in value. General Renovation: When a house has the areas that are most dated replaced (such as light fixtures, appliances, etc.) along with new paint and flooring that gives the house a new clean feel. This type of renovation is often referred to as a lipstick and rouge renovation. Houses undergoing general renovations typically sell quicker than other similar houses that have not been renovated. Although they do not get significant increases in value, they will often sell in the upper end of the market range for similar properties. Full Renovation: When a house has all of the older facilities replaced along with new paint, new fixtures, new floors and other needed items addressed. Older houses receiving full renovation often require removal of all the walls in order to replace electric, plumbing and insulation. Full renovations typically receive significant increases in value. General Restoration: Similar to a general renovation, but often referring to older properties, general restorations is also sometimes referred to as a ‘lipstick and rouge” restoration. A general restoration will often cover other needed repairs making a house look and feel restored. General restorations help homes sell quicker with slightly higher values, but there may be additional repairs needed. Unfortunately, when the hidden repairs have to be addressed it is often necessary to tear out or destroy the “lipstick and rouge” restoration to make the repair. Complete Restoration: When a house has all the older facilities fully repaired and refinished while maintaining the function and layout of the house. The house may still have some functional obsolesces like small closets, bathrooms or kitchens, but the house should not require any further repairs. Few houses receive a complete restoration, but those that do realize a significant increase in value. Carlton Realty specializes in the representation of buyers and sellers during the sale of remodeled, renovated and restored houses. We provide the information that is necessary to understand the differences in values when buying historic renovations, remodels and restorations. 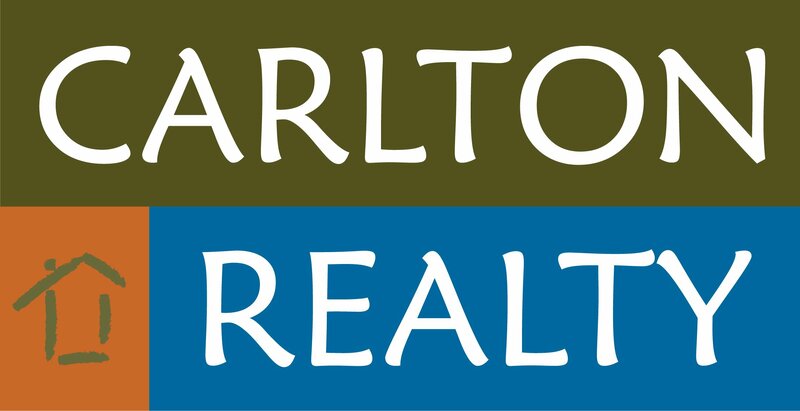 If you are considering buying or selling a remodeled, renovated or restored house in Fayetteville, Arkansas or the Northwest Arkansas contact us at Carlton Realty.